Most charities are now aware that social media is a great way of increasing awareness about their cause and reaching potential supporters. But despite lots of people working in charities using social media for professional and personal reasons, many charities are reluctant to let their employees loose on social media in a work capacity. Conversely, many members of staff aren’t aware how social media could be useful to their charity. Yet your staff are likely to be the best informed advocates of your brand. 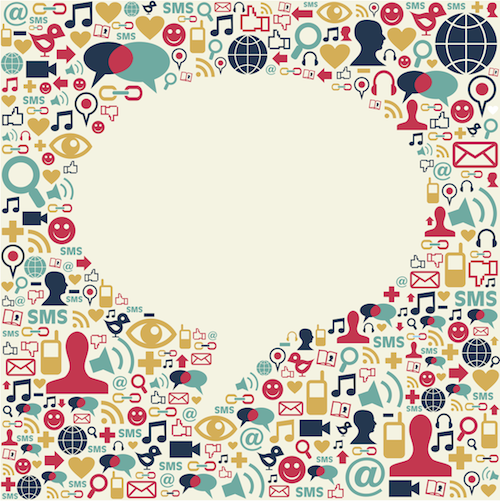 Using social platforms will help to emphasise that your organisation is made up of people. Additionally, depending on their role, staff may have networks that could be valuable if they’re made up of the people your organisation wants to reach. The benefit is mutual too. The conversations they have and the multimedia they share will provide you with additional content. There seems to be a divide about the use of guidelines for staff when using social media. While it’s important to give people guidance, something our Insiders’ guide to social media touches on, a certain level of trust is also essential. The policy team all have logins to the policy twitter account and tweet from events – we’re trying to demonstrate and share their expertise so it’s essential they’re the ones contributing. It’s about trust and giving people the confidence to feel comfortable – training helps, and being there to guide people. As digital becomes more integrated within an organisation, it’s important everyone understands how social media could be useful for them. It’s becoming more obvious that the use of social media cannot solely reside in the digital team anymore. Staff use of social will also help to generate useful content. We’ve seen staff using their own social media channels – Twitter especially – to good use in encouraging event participants, thanking them and strengthening our relationships. A lot of our shop staff are also active on social media. Getting staff involved in social media not only helps to remind them of the benefits of its use, but also makes them more familiar with it, more likely to consider its benefits and appreciate the need to invest in it. I’ll scout out staff members who are particularly enthusiastic about social, and co-opt them as social media advocates for their team. This way, I can get social onto the agenda in other teams, where the social team might not have had influence before. You can find more insider tips like these in the CharityComms Insiders' guide to social media for charities.